Dive accidents can happen anywhere, any time and to anyone. As divers, we know that oxygen is widely accepted as the standard first aid for symptoms after diving. Oxygen is so vitally important that it should be readily available wherever people are diving. Oxygen provides many benefits, including mitigating respiratory distress, reducing swelling and increasing oxygenation of the body’s tissues, which promotes healing. In cases of suspected decompression illness, oxygen helps minimize further tissue injury, enhances elimination of inert gas (e.g., nitrogen) and contributes to good outcomes. 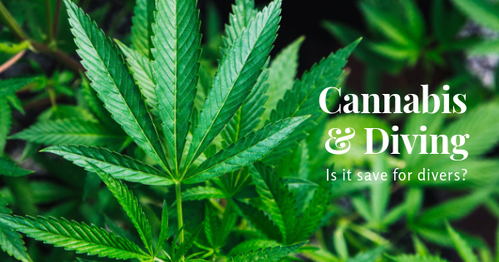 It can even save lives. It is important that you take responsibility for your safety. Ask your dive operator about the availability of oxygen. It is absolutely reasonable to ask to see the oxygen unit before the boat leaves the dock; this ensures you know where it is and that it’s in good condition. Note that some dive professionals present the oxygen unit as part of their dive briefing. Depending on the location of the dive site, ask if there is enough oxygen to get at least one injured diver back to the dock or to the closest medical facility. Finally, identify which of the dive staff are trained in oxygen first aid. Simply having oxygen, it is not enough! Safely and correctly administering oxygen first aid requires proper training. Fortunately, DAN has you covered. The DAN Emergency Oxygen for Scuba Diving Injuries course was developed by medical experts and designed to provide divers (and non-divers) with the skills to respond to emergencies with confidence. For more than 20 years this course has taught divers how to administer oxygen in the event of diving injuries and other aquatic emergencies. DAN is here to field calls about oxygen administration, transportation to medical facilities, follow-up care and other dive accident concerns. We encourage divers and others responding to emergencies to call the DAN Emergency Hotline (+27 828 10 60 10). We even provide medical consultation to emergency departments, hyperbaric facilities and other medical professionals to assist with treatment. DAN developed the Oxygen Grant Program to both enhance diver safety and support dive professionals. The program improves access to this potentially life-saving treatment by providing oxygen units to dive operations and organisations that demonstrate a genuine need. Improving access to oxygen is particularly important in remote locations, where getting proper medical care may not be straightforward. When dive injuries occur, being able to recognise the problem and respond with the appropriate care can speed recovery and minimise lasting effects. DAN would not be what it is today without the support of divers and the dive professionals who work to keep divers safe. Spread the word: If you know an organisation that has a genuine need for oxygen in the pursuit of their interaction with the dive or aquatics communities, tell them about the DAN Oxygen Grant Program. Most importantly, make sure your emergency action plan includes access to first-aid oxygen. The first Quarter is done and dived out already. We were out the starting blocks whilst continuing the holidays at Sodwana Bay. It was good weather and great company to dive with. We were fortunate to be housed by Twobar Scuba at Emoyeni Lodge for the duration of December/January days at the iSimangaliso park. Being there gave us the opportunity to meet with new divers – Open Water scuba students and see where they get trained. Once back in Gauteng it was time to make plans for the new year and get around to visiting with the guys in Johannesburg and Pretoria. The excursion to Cape Town was as always somewhat of an expedition with dive centres like the always busy Pisces Divers, Cape Town Dive Centre – nice to meet with instructor Julia Andreas – and Deon Jonker at Indigo divers in Gordons Bay. Congratulations to DAN Distinguished Instructors Ettiene Raal of Alpha Dive in Strand and Carel van der Colff of DiveInn/OMSAC and thank you for your continued Industry Partnership. We look forward to working with all of you this year. Then there is the Wildside Dive Festival at the Noorhoek ski boat club, Port Elizabeth this year, that has taken place over the long weekend in March. For the first time. Divers came from as far as Langebaan – Piet & Rossouw and their crew from Langebaan Divers and a group from Bloemfontein Sub Aqua club. This club celebrated their 50th year with a social evening and get together at the club house in Bloemfontein. We hope they go even bigger this year and offer our help and advice as always. Over the past 12 months the DAN team has been working hand-in-hand with the volunteers at NSRI Stations situated in and around popular dive in South Africa. The aim of the Emergency Oxygen for Scuba Diving Injuries workshops were to provide the volunteers with the necessary knowledge and skill to assist divers with suspected decompression sickness injuries. The main focus was on skills development, maintaining their Oxygen equipment and how to safely manage Oxygen. The workshops have been well received and the plan is to continue the work at the NSRI Station by introducing the volunteers to the DAN Neurological Assessment programme to further their knowledge and to be better equipped to assist divers in the event of an emergency. The DAN team trained a total 93 NSRI volunteers. These were the NSRI Stations that participated in the DAN Emergency Oxygen for Scuba Diving Injuries workshops. To all the DAN members out there! Join Divers Alert Network Southern Africa or renew you membership. We will have your back in case of an diving emergency. It is Your Adventure! Your Safety! We will take care of the rest! DAN established the research grant in honour of Dr. R.W. “Bill” Hamilton, who passed away in 2011 at the age of 81. 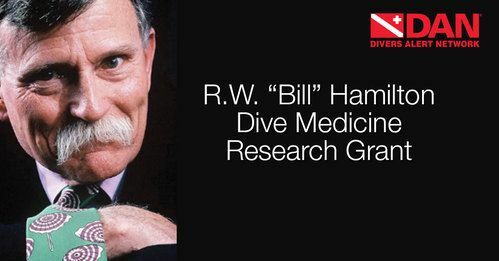 Hamilton, nicknamed The Prince of Gases, conducted research on dive physiology and the treatment of injured divers. He authored numerous papers, reports and workshop proceedings. He is perhaps best known for co-developing the Diving Computational Analysis Program (DCAP), a computer program that analyses and develops decompression procedures and schedules for a wide variety of exposures to pressure. About DAN: The world’s most recognised and respected dive safety organisation, Divers Alert Network (DAN) has remained committed to the health and well-being of divers for 39 years. The organisation’s research, medical services and global-response programs create an extensive network that supports divers with vital services such as injury prevention, safety and educational programs and lifesaving evacuations. Every year, hundreds of thousands of divers around the world look to DAN as their dive safety organisation. Join the DAN community or learn more at DAN.org. For more information, call Brian Harper at +1 (919) 684-2948, ext. 1271, or email him at bharper@dan.org. Cannabis/ marijuana has been known to man for thousands of years. It is believed to have originated in central Asia some 12,000 years ago and that it was widely used by Neolithic times for its protein-rich seeds, oils and fibers. Some of the earliest reports of its use date back to approximately 4000 BC, when it was actively farmed and considered one of the “five grains” in China. Developed by medical experts, DAN’s courses are easy to understand and designed to provide you with the skills and confidence you need to respond in emergency situations. DAN first aid courses prepare divers to manage injuries related to scuba diving. All courses meet the 2015 ILCOR and AHA CPR guidelines. The training can also extend to other environments. Isn’t it worth a few hours one evening or weekend to learn the skills that could save a life? Enrol in a DAN course today! Alert Diver is the dive industry’s leading publication. Featuring DAN’s core content of dive safety, research, education and medical information, each issue is a must-read reference, archived and shared by passionate scuba enthusiasts. In addition, Alert Diver showcases fascinating dive destinations and marine environmental topics through images from the world’s greatest underwater photographers and stories from the most experienced and eloquent dive journalists in the business. Download the latest Alert Diver now! Don't worry — this is, to some degree, preventable. All you have to do is participate in a strength-training program three days per week. Most age-related loss of muscle mass occurs in fast-twitch fibers, so target these fibers with heavier weight and more explosive movements. First, however, you must master proper form. A weight-training program that targets the muscles most used diving will allow you to do multi-day dives without undue strain or fatigue. Question: I’m getting a new tattoo on my thigh. Is it safe for me to go diving two days later? Answer: Your tattoo artist will tell you how to properly care for the site of the tattoo and how to prevent infection. The general recommendation is to avoid immersing your tattoo in water — other than showering — until the area has healed (the skin is no longer flaking), which can take several weeks. Going diving two days after getting a tattoo is not recommended due to the risk of infection. As with any wound, be sure healing is complete before you dive. Scuba diving accidents are rare, but they do happen. Knowing how to recognise and appropriately respond to diving injuries may benefit you or someone you care about. One of the most common issues reported via the DAN Hotline is ear barotrauma. Ear barotrauma is the most common injury in scuba diving. Barotrauma occurs when pressure outside the ear is greater than in the middle ear space, and the diver does not sufficiently equalise. If you or another diver experience any of the following symptoms, stop diving and seek medical care - ideally from an ear nose and throat specialist. After ruling out an infection, the doctor may recommend nasal steroid sprays, acetaminophen, ibuprofen, a hot compress or oral decongestants like pseudoephedrine. Avoid ear barotrauma by equalising early and often. Never force your descent and avoid using decongestants. over and above planning your dive, even if you go to the same dive site regularly. Know what emergency resources are available in that area so that you can be prepared and informed of what time delay to expect before an ambulance or flight can get to you. This will also help in knowing what type of medical kit to take with. danmedic@dansa.org with your plans, and we will advise you what recourses are available in the area and what time delays are expected. From there you will know how to prepare optimally for an emergency. We would like to remind all our members to please contact the DAN hotline as soon as possible in the event of an emergency. The dive medical officer on duty will pre-approve any services that may be required and advise whether you are getting the correct medical care. Claims received that have not been pre-approved will be assessed upon their merits.